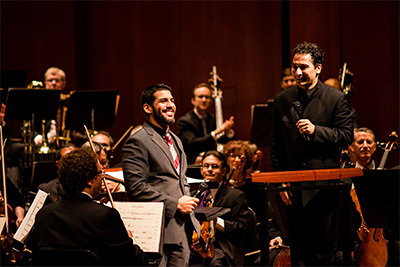 Houston Symphony Orchestra with Music Director Andres Orozco-Estrada after the 2015 performance of The Abduction from the Seraglio. 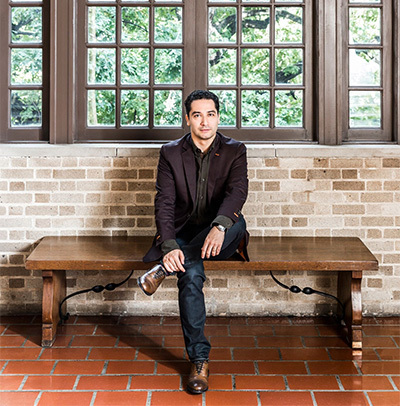 Houston Symphony Music Director Andres Orozco-Estrada. Photo courtesy of Houston Symphony. The heroics of Beethoven’s Fifth. The exuberance of his Ode to Joy. The humor of his First Symphony. The drama of his Eroica. The Houston Symphony and Andrés Orozco-Estrada have embraced all that and more since they launched their Beethoven symphony cycle in 2015. 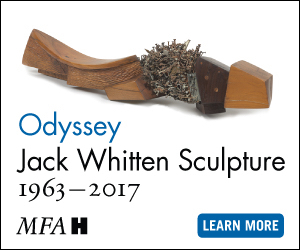 The Pastoral and Seventh symphonies, the last ones remaining, come March 24-26. But the orchestra’s Beethoven journey will include one more landmark the following weekend: Fidelio, his operatic celebration of love, courage and liberty. Beethoven “puts all the symphonies in this one, greater piece,” Orozco-Estrada says. He picks one musical detail to savor: Only in the finales of the Fifth and Ode to Joy and the triumphant close of Fidelio does Beethoven bring in the piccolo, contrabassoon and trombones. They help create the sonic fireworks that deliver Beethoven’s salute to freedom. In Fidelio, a political prisoner’s wife disguises herself as a man and frees him from a tyrant’s dungeon. With its themes of marital devotion and human brotherhood, the opera embodies two of Beethoven’s lifelong ideals. Orozco-Estrada, the Houston Symphony’s music director, thinks Fidelio’s message still resonates. Composer Jimmy Lopez with Andres Orozco-Estrada after the Fiesta Sinfonica Concert. Photo courtesy of Houston Symphony. Jones Hall will remain in the orchestra’s usual concert-hall setup for the two performances, March 31 and April 2. A streamlined production by Tara Faircloth, a director who has worked with Opera in the Heights, Ars Lyrica and Mercury, will include suggestions of stage action, simple props and attire, and video projections. The German dialogue between musical numbers will disappear. In its place, Faircloth says, a narrator will comment on the action and add the perspectives of “thinkers, poets and revolutionary figures of the past.” They’ll range from Mahatma Gandhi and Martin Luther King Jr. to Edna St. Vincent Millay and J.R.R. Tolkien. Leticia Moreno plays Jimmy Lopez’s violin concerto next season. Photo by Omar Ayyashi. Fidelio contains some of Beethoven’s most soulful music, so it will provide ample material for cultivating the lyricism Orozco-Estrada has in mind. But its intensity — from the villain’s ferocious confrontation with his opponents to the exultant happy ending — makes it also one of Beethoven’s most electrifying works. The cast will largely be new to Houston. Rebecca von Lipinski, a British soprano based in Germany, will portray the opera’s heroine, Leonore. Tenor Russell Thomas, a Florida native who has performed with the Metropolitan Opera and other top companies, will play the unjustly imprisoned Florestan. Everyone involved will get a workout. Even with all this Beethoven in front of him, Orozco-Estrada looks forward to next season. The Classical Series opener will combine Antonin Dvorak’s Te Deum and Gustav Mahler’s Symphony No. 4. 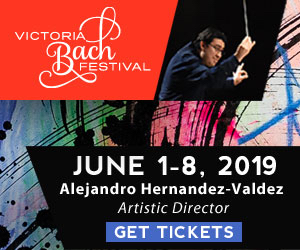 Later in September, Robert Schumann’s First and Second Symphonies will bracket the world premiere of a violin concerto by Jimmy Lopez, a Peruvian whose opera Bel Canto was telecast recently on PBS’ Great Performances. 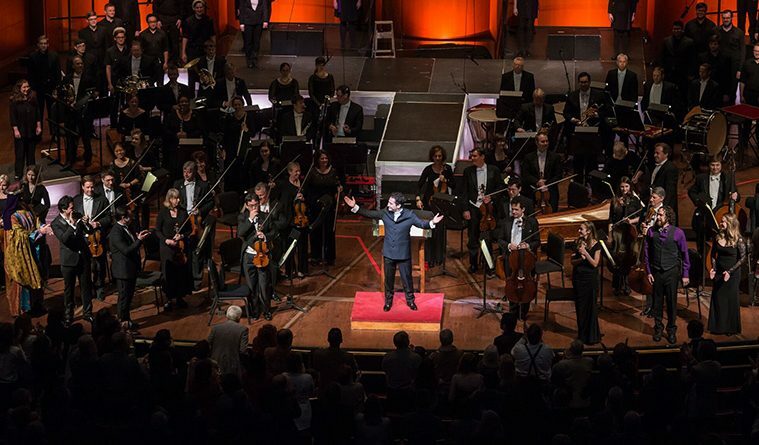 After meeting Lopez last fall, when the annual Fiesta Sinfonica included Lopez’s America Salvaje, Orozco-Estrada decided to enlist him as the orchestra’s new composer in residence. Houston Symphony ends the season with a multimedia performance of Igor Stravinsky’s The Rite of Spring, devised by Ars Electronica Futurelab. Photo courtesy of Ars Electronica Futurelab. Violinist Hilary Hahn will solo in February in Leonard Bernstein’s Serenade, paying tribute to the composer-conductor’s centennial. In the same concerts, Orozco-Estrada will continue their Shostakovich series with the Symphony No. 11 — which the Houston Symphony and Leopold Stokowski gave its U.S. premiere in 1958. And the season will end with a multimedia performance of Igor Stravinsky’s The Rite of Spring. 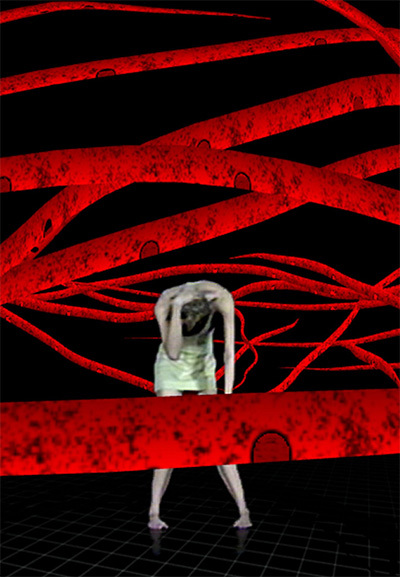 Devised by Ars Electronica Futurelab, an Austrian media studio, this version of Stravinsky’s blockbuster features a live dancer whose movements are picked up on camera and transformed by a computer. Orozco-Estrada, who has conducted it in Europe, says Ars Electronica’s Rite is “very powerful — even scary, sometimes. Shocking, in a way. But I like the idea.